The Pavilion is the first public building in Kuching to be over two storeys tall. It was built with concrete frames supported by timber piling. 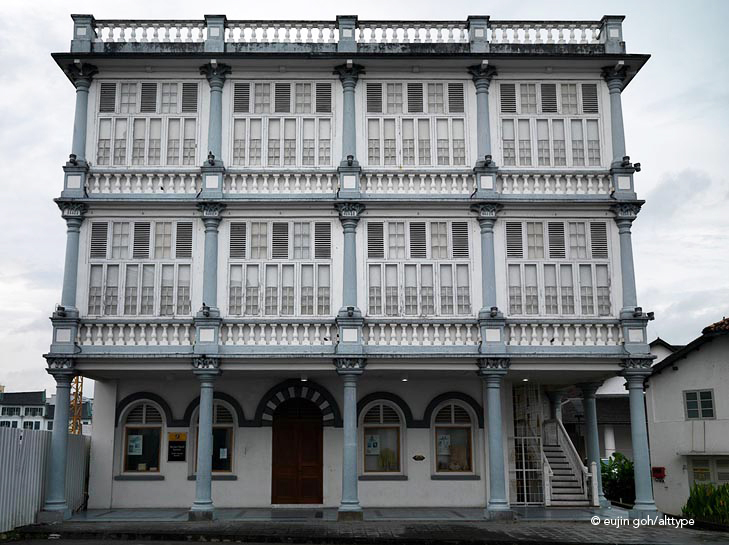 Today the Pavilion has been conserved and now houses the Textile Museum or Muzium Tekstil Sarawak. Image | This entry was posted in Architecture, South East Asia and tagged alt.type, alttype, Architecture, Colonial Design, Eujin Goh, Kuching, Malaysia, Sarawak, The Pavilion. Bookmark the permalink.